Chief Minister Pinarayi Vijayan has directed the State Council for Science, Technology & Environment to carry out studies on the phenomenon after floods across the state. 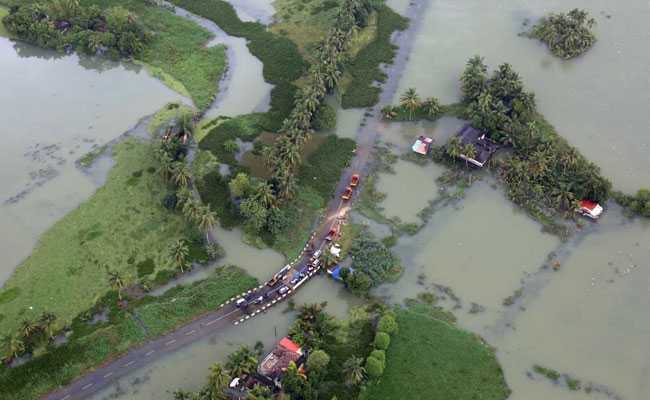 With mercury levels rising and abnormal drying up of rivers and wells reported in flood-hit Kerala, the state government has decided to conduct scientific studies on the post-flood phenomenon in the state. "The Centre for Water Resources Management has been assigned the task of studying fall in water levels, changes in groundwater and land cracks," Mr Vijayan, who is under treatment in US, said in a Facebook post. The topic of biodiversity renovation has been assigned to the Jawaharlal Nehru Tropical Botanic Garden and Research Institute, Kerala Forest Research Institute and the Malabar Botanical Garden and Institute for Plant Sciences, he said. The study of issues related to roads and bridges had been entrusted with the National Transportation Planning and Research Centre. The Council was also asked to study separately the structural changes to environment in terms of biodiversity and changes in the habitat of animals and plants and its impacts, the Chief Minister added. According to official figures, a total of 491 people were killed in monsoon rains in Kerala since May 29.